I have in my possession a 'private conference not to be put on the internet' titled: How to see clearly through the current situation of Tradition? According to their website, it was delivered by a Monk of Avrille November 15, 2014. My intention in reviewing this document is to determine if it is consistent with my earlier observations of the issues I noted in the 'resistance' (see links below). Specifically, that the 'resistance' believes that the 'conciliar Church' is a separate organization that is parallel to the One, Holy, Roman, Catholic Church. 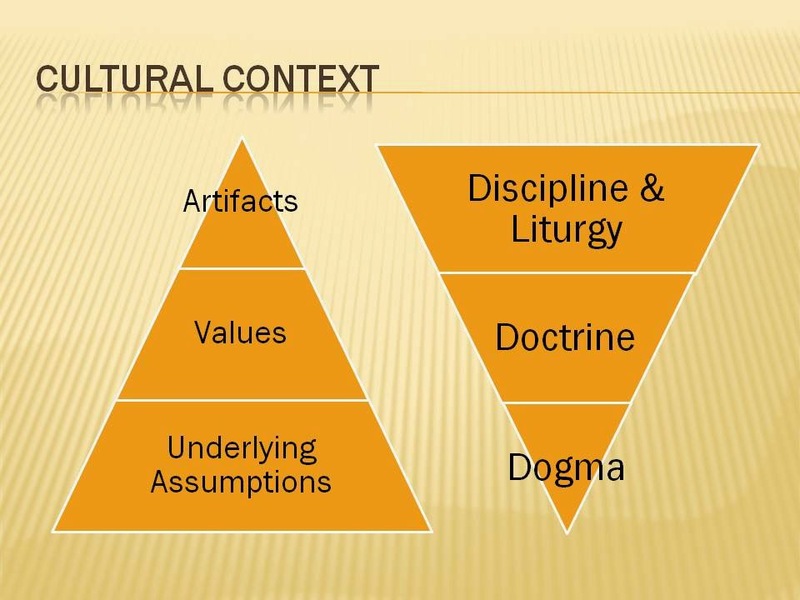 Let's put this into context first, as there is a tendency to oversimplify the structure of the Church from a liturgical and hierarchical perspective. One objection that is put forward is that 'Modern Catholics don't profess the same Christian faith'. This is false on a number of fronts. First, it is a generalization which is a fallacy. Second, Catholics in material heresy are still deemed among the members of the Church since the Church assumes that they will submit to the authority of the Church when corrected. Thirdly, one can profess the faith explicitly or implicitly. I doubt many Traditionalist could quote all 230 (ish) de fide teachings of the Church. They implicitly profess their belief whenever they recite the Creeds of the Catholic Church - just as the 'Modern' Catholics do. So let's put this canard aside. 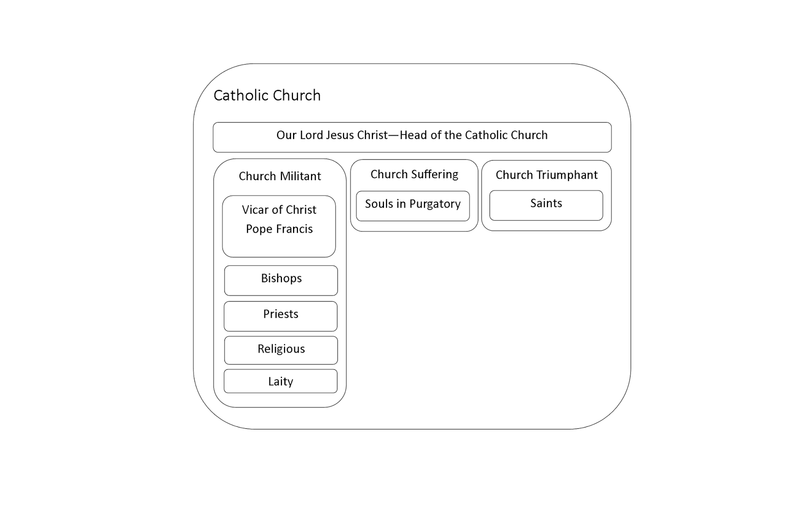 From an organizational point of view, the rule of legitimate pastors is hierarchical (complete list http://www.catholic-hierarchy.org/). 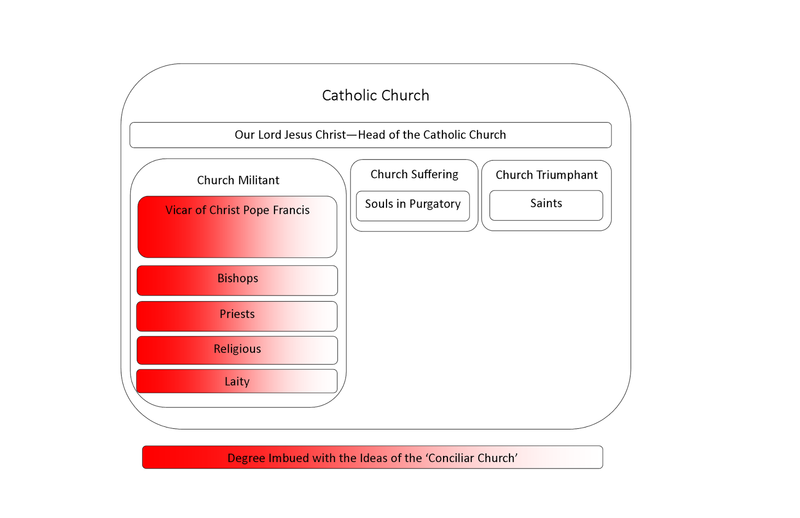 To be clear, each of every one of these rites is a rite of the Catholic Church. Those who attend them, provided they are not in schism or heresy, are just as Catholic as those who attend the Roman rite. I have noted that a fair number of Traditionalists are ignorant about the breadth of liturgical practice within the Catholic Church. Finally, I realize that some would contest that the Novus Ordo Missae is a Rite of the Church. For now I will assume that it was 'legitimately promulgated' - setting aside any legal wrangling about the 'form' of the promulgation. Meaning that 'Modern' Catholics participate in the same Sacraments and Legitimate worship as Traditionalists. 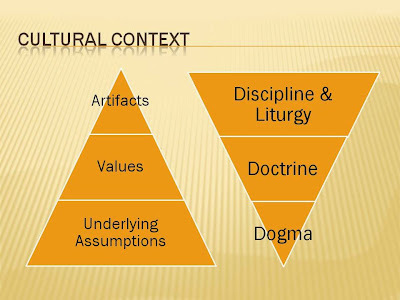 At its root, the crisis is due to the influence of certain underlying assumptions / values that have dominated the Catholic Church since the Second Vatican Council. The first manifestation was during the conflict between Cardinals Ottaviani and Bea on the document of Religious Liberty. The conflict has been ongoing from that point with the alteration of any and all artifacts and values that are not aligned with the new cultural assumptions. With this foundation, we can explore the different perspectives of how the crisis of the Church affects the Church. Different perspectives are a natural consequence of our cultural background (see links below) and experiences. In trying to impose a framework around this crisis, one term has been persistently used to encompass all the manifestations of the crisis: Conciliar Church. The SSPX views the conciliar Church is a 'movement' within the Church of Christ. The members of the Church Militant subscribe or participate in this movement in varying degrees. (see Can one speak of the Conciliar Church?) The varying degrees of 'infection' is represented by the gradient, with solid red being fully infected and white not infected. As we are unable to read souls like St. Padre Pio, these gradients are for illustrative purposes only. 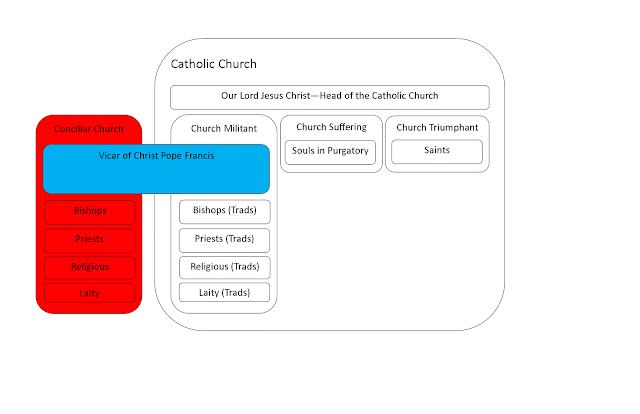 Please note that while infected with the errors that run rampant in the Catholic Church, the people are still members of the Catholic Church as long as they don't separate themselves from the Church via either schism or heresy under the conditions discussed elsewhere on this blog ( Heresy Plain and Not So Simple ) . The generality of the leading lights of the 'resistance' see the "Conciliar Church" as a separate entity that is not within the Catholic Church. 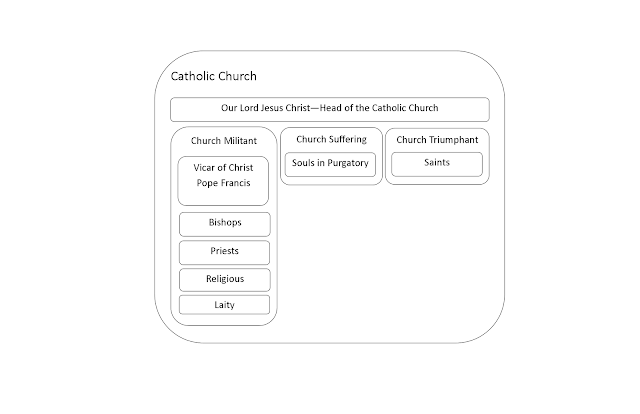 The Vicar of Christ is simultaneously the head of both of these organizations. There is also a tendency within the 'resistance' to see only traditionalists as remaining within the Catholic Church. The 'visibility' of the Church does not reside in buildings, see this link for an explanation. I am uncertain if the resistance includes the sede-vacantists in the "Trad" category. Perhaps they have a separate conciliar type structure for them. Attached below are some articles that I've written on this topic. I have concluded that the 'resistance' sees any canonical regularization as a submission and attachment to the conciliar Church and not the Catholic Church. Hence their response to even the possibility that the SSPX could have been regularized. With that foundation, we can now explore this sensitive resistance document and evaluate if my earlier conclusions are supported. Where are Bishop Williamson and the 'resistance' going?